Florence as seen from Piazza Michelangelo is a breathtaking experience. 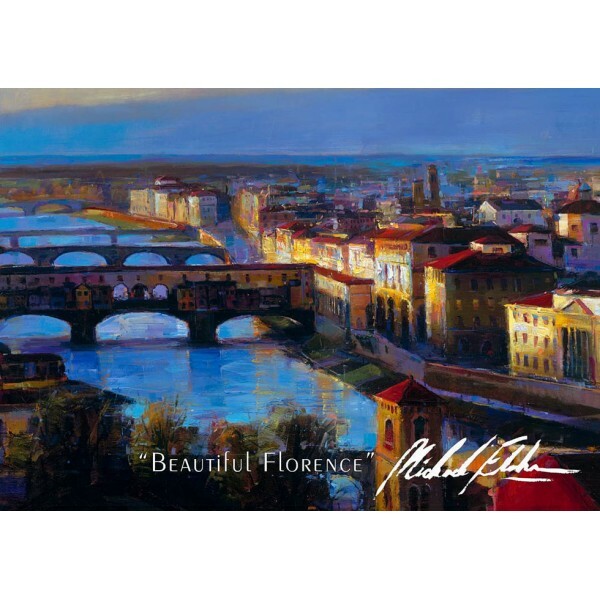 Internationally acclaimed artist Michael Flohr has truly captured the beauty and essence of this ancient city whose history has impacted the art world for centuries. subjects and landscapes such as “Beautiful Florence”. In this masterful work the viewer sees light dancing in the shadows off the buildings making us feel the illustrious radiance of a city which exudes art and romance. Colors and shapes come together capturing yet another great moment on canvas; a quintessential Michael Flohr painting.